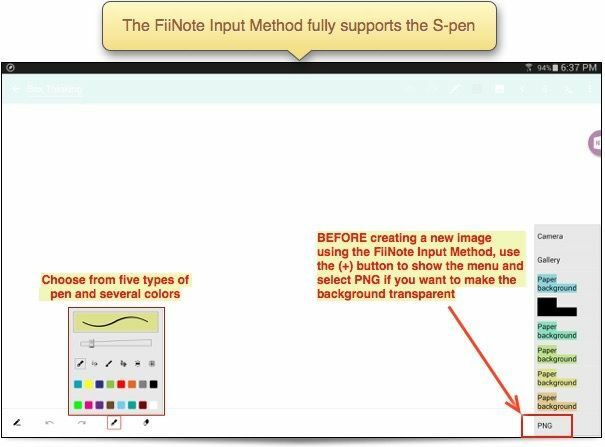 Brilliant App for Your Galaxy Note: FiiNote to Unleash the Power of S-Pen! 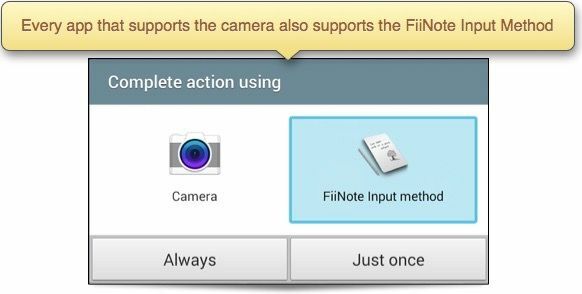 FiiNote is a remarkable app that enhances your Galaxy Note in two ways: first, as a typical notebooks app and second, as a clever "camera" app. FiiNote has a slightly confusing interface with a myraid of options and features. In my opinion, the most remarkable feature is the ability to add voice recording to any spot on the page. 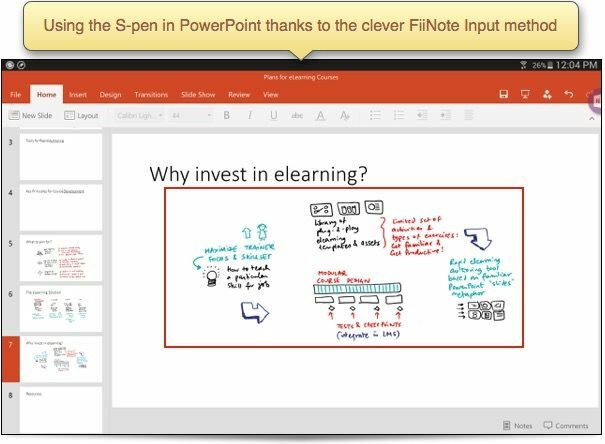 With this feature, you can create a document that contains typed text, hand-drawn text using the S-pen, and embedded voice notes all on the same page. When is this useful? For example, initially you may want to take down copious notes by hand, and then later you could summarize the key points using voice notes. In this way, any insights you gain from reviewing your notes could be captured as an embedded voice note - placed next to the original handwritten notes. You could even use a different pen color to draw attention to these voice notes located on the page. FiiNote has two distinct modes: "Keyboard" and "Paint" where the former is used for typing in text, and the latter is used for S-pen drawing input. You can use Keyboard mode to add text to the page which will then become searchable text in the PDF output. The figure below shows how to use the "Paint" mode for writing with the S-pen, and demonstrates the ability to embed a voice memo anywhere on the page. One problem with using the Galaxy Note devices is the lack of apps that support the S-pen, and further, the different ways in which they implement the S-pen functionality. FiiNote provides a clever solution - it offers a "camera" app that essentially allows you to use the S-pen to generate an image on the fly. 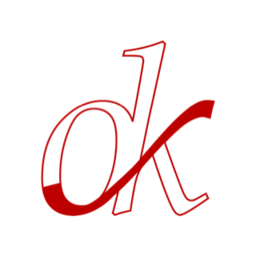 Furthermore, the image can be created in the PNG format with transparency, which is convenient for placing it on a canvas or slide over or near other objects. Where is this useful? The FiiNote Input method allows you to use the S-pen in apps that don't support the S-pen or even touch drawing! For example, when editing your Microsoft Word document or PowerPoint presentation, you can choose to insert an image and then instead of choosing the built-in camera, opt for the "FiiNote Input method." This will provide a full-sized canvas on which you can draw and type text, and when ready hit the "Send" button in the bottom right to transfer the image back to the Word document or PowerPoint presentation. Microsoft Office apps such as Word, PowerPoint, Excel and even OneNote where you can insert a hand-drawn image. Google apps such as Google Docs and Google Slides to insert hand-drawn images directly into the document. Task Management apps such as Google Keep, Trello, and Wunderlist where you can assign an image attachment to any task or note card. Team Collaboration tools such as Slack and Quip where the ability to add a quick illustration to a chat or a shared document can boost team communication. Communication apps such as Gmail, Whatsapp, and Telegram where you can sketch and send an image attachment to your contacts. Cloud Storage apps such as Dropbox and Google Drive, where you can take and upload a new image directly to the current folder. This technique allows you to use your Galaxy Note as a rapid drawing tool and save the hand-drawn images immediately to a team's shared folder. Online whiteboarding apps such as A Web Whiteboard (awapp.com) and Realtime Board (realtimeboard.com) where you can insert and rearrange hand-drawn images and move them on the whiteboard like post-it notes. 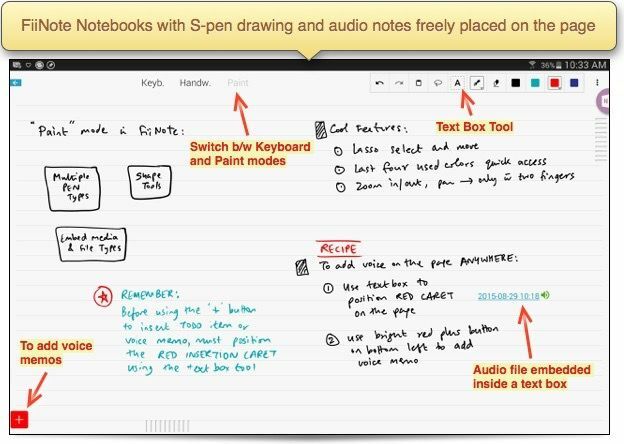 Even in apps that support the S-pen natively such as Evernote and OneNote, you may prefer to use FiiNote which provides a broader variety of pen types and colors, and offers better palm rejection too. Furthermore, when inserting FiiNote-created images in a tool like OneNote, it is possible to select & move the images around on the page - which is not possible with the S-pen drawings built directly in OneNote. Thus, FiiNote app provides an elegant and powerful way to bring S-pen functionality to many apps on your Galaxy Note device. "Brilliant S-Pen Apps for Your Galaxy Note" - Get the Book! Discover how to make the most of several brilliant apps for your Galaxy Note - Explain Everything, Whiteboard Cast, Graph Paper Pro, LectureNotes, Evernote, OneNote, Papyrus, ezPDF Reader, and FiiNote - in my ebook available in the Kindle Store, Google Play Books Store, iBooks Store, Smashwords, and others.